The teaser trailer for the new Star Wars movie has just been released and we’ve been poring over every frame for clues about the film’s plot and characters. 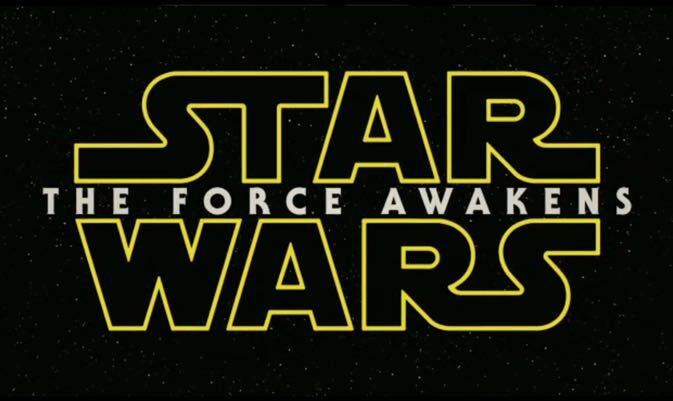 Star Wars Episode VII The Force Awakens isn’t released until December 2015 so this first official glimpse is super cool. 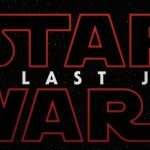 As an avid Star Wars fan I was eagerly awaiting this first official teaser trailer but there were a few hoaxes and fan-made clips that looked real enough. One fake trailer started like the real thing with the Disney and Lucasfilm logos but what we got was video of the Rick Astley 80s classic Never Gonna Give You Up. But after all of those false starts we finally got the real deal early this morning. 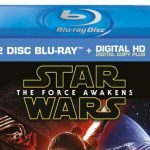 Director JJ Abrams – who has already successfully rebooted the Star Trek franchise – certainly looks like he’s on the right track with Star Wars Episode VII. 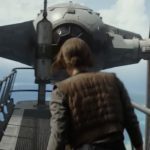 The tone of the trailer is quite dark – something true Star Wars fans have been craving since Empire Strikes Back – considered by many to be the best of the franchise. BACK ON TATOOINE – OR ARE WE? The opening shot of the trailer is of a desert and immediately we think we’re back on Anakin and Luke Skywalker’s home planet Tatooine that was featured in the original and prequel trilogies. Suddenly up pops John Boyega (Attack The Block) dressed as a stormtrooper, minus the helmet, looking hot and bothered and terrified about something. The Empire was supposedly wiped out at the end of Return of the Jedi so this means they’re trying to get the band back together recruiting real people instead of filling up uniforms with clones. 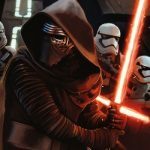 Has Boyega come here to try and find Luke Skywalker to help him fight this awakening threat? Are we seeing a theme here? The desert scenes were filmed in Abu Dhabi with fans assuming this is Tatooine but there have been rumblings that there will be another desert planet in the movie. It looks like R2 units have been reinvented in the 30 years since Return of the Jedi when The Force Awakens is set. This roly poly unit looks like a soccer ball with a R2 dome on top of it. While most fans are geeking out about this new droid another pocket of fans are hoping this cutesy comedy factor isn’t a repeat of the Jar Jar Binks disaster of the prequel trilogy. The stormtroopers are back. This shot shows a number of stormtroopers in what looks a drop ship. They have slightly redesigned helmets and wielding advanced blasters. But remember John Boyega in that opening shot dressed as a stormtrooper. Is this him and what is he doing here? Has he infiltrated their ranks? IS THIS PRINCESS LEIA AND HAN SOLO’S DAUGHTER? Our next shot is of a young woman (Daisy Ridley) who is believed to be the daughter of Princess Leia and Han Solo who are also both in the movie (it’s set 30 years after Return of the Jedi remember?). But she’s in a hurry for some reason – is she off to meet John Boyega who has just dropped in as a half-dressed stormtrooper? Also check out her goggles – they look like they’ve been made from the lenses from a stormtrooper helmet. She straddles what looks like a vertical version of her uncle Luke’s landspeeder from the original Star Wars film and speeds away. Now we’re inside the cockpit of X-Wing with pilot Oscar Isaac who’s wearing a helmet with the familiar Rebel symbol. Then we cut to a cool shot of three X-Wings – which look they’ve had a slight design tweak – as they skim across a body of water kicking up spray with a mountain range in the background. Here’s where it gets really interesting. Next we see a hooded figure walking through a forest in the snow. The voiceover says: “the dark side….” as this person, which we assume is a bad guy, pulls out a lightsabre and fires it up. But this is no regular lightsabre – for a start it’s not the same smooth light blade we’re used to seeing. It has a rougher texture but that’s not all. It also has cross handles to give it the appearance of a crucifix. The voiceover concludes: “…… and the light”. And the red lightsabre can only mean one thing – this dude is a dark lord of the Sith. OMG – IT’S THE MILLENNIUM FALCON!! 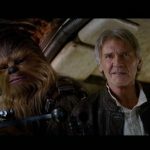 Star Wars would have tears in their eyes when they heard not only the familiar strains of the famous John Williams theme but also the freaking Millennium Falcon! It soars across the screen across a desert landscape and completes a loop before we see it is being attacked by two TIE fighters. Eagle eye observers will see the ship that made the Kessel Run in less than 12 parsecs has been given a slight makeover. It now has a rectangular dish on the back to replace the circular one that was there before. But who is behind the wheel? Is it Han Solo or has he handed the ship he won in a card game with Lando Calrissian to one of his children? Conspicuous by their absence were the beloved Star Wars characters Luke Skywalker (Mark Hamill) , Princess Leia (Carrie Fisher) and Han Solo (Harrison Ford). There was also no sign of Max Von Sydow and Andy Serkis (although we may have heard their voices). And the latest rumour buzzing around the Star Wars universe is that Benedict Cumberbatch has been a late inclusion to the cast. 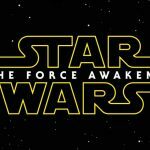 The Star Wars Episode VII The Force Awakens opens on December 18, 2015. Only 385 sleeps to go.